Haymarket is located in Prince William County and is a great place to live! The new Battlefield High School is ranked among the best high schools in the area. 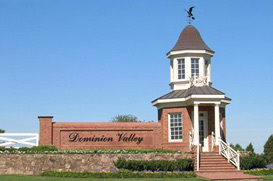 Dominion Valley and Piedmont are all great golf courses and country clubs in Haymarket. When searching for Haymarket Real Estate and Homes you’ll find that the majority of the homes are newer (built after 1995). Haymarket is a relatively easy commute to Northern Virginia, DC and Maryland. Haymarket is home to many fines communities such as: Bull Run Mountain, Dominion Valley Country Club, Evergreen Estates, Evergreen Farm, Gates Mill, Gypsum Hills, Longlevel Acres, Market Center, Mountain Crest Estates, Northwood Estates, Old Carolina, Parks At Piedmont, Piedmont, Piedmont Riding Club, Regency @ Dominion Valley, South Market, Villages of Piedmont, Waterfall Estates, and Westmarket. Whether looking to buy or sell a condo, single family, detached, townhome, farm, lakefront real estate, golf course, gated community or horse property, Haymarket, VA has it all!